We may be trucking through the off-season, but there’s been lots of news in AGT Land so far this month! Her run is Vegas may be over (for now!) but Darci Lynne isn’t slowing down – she recently announced a series of shows in her hometown of Oklahoma City. Darci Lynne: Homecoming will be onstage at The Criterion on December 16-17 2017, and tickets are selling fast! Seattle-area AGT fans have an upcoming treat of their own. Gold Creek Community Church’s annual Gold Creek Christmas show has a special twist this year: several Season 12 contestants will be performing, including singers Evie Clair, Kechi, and Christian Guardino, dancer Merrick Hanna, and dog act Patrick & Ginger! There are three performances scheduled over December 15-16, and tickets can be purchased here. In other Season 12 alumni news, last week Colin Cloud announced his involvement in this year’s Royal Variety Performance. If you’re unfamiliar with the tradition check out the link, but the show is an annual tradition in Britain and is known for featuring a, well, variety of different performers from comedians to sideshow acts to West End stage show casts. (So basically everything we hope to see in the AGT live shows instead of an abundance of karaoke-style pop singers.) 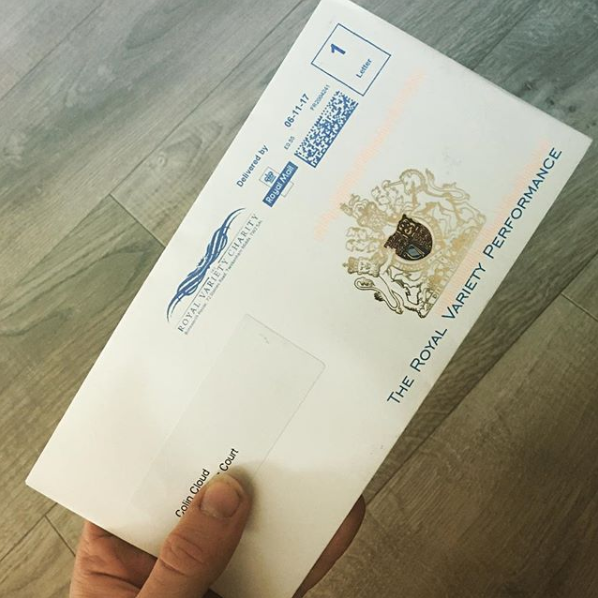 And just to give you an idea how prestigious the RVP is, a performance slot is the grand prize for AGT‘s own sister program Britain’s Got Talent. This year’s winner and representative is musician Tokio Myers, and in addition to all of the BGT champs some other alumni from AGT have participated in previous year’s performances. Finally, I’ve mostly refrained from posting about this since one of our sister sites pretty much has it covered, but AGT Season 5 alumnus Lindsey Stirling not only recently released a brand new Chirstmas album entitled Warmer in the Winter, she was officially announced as a Dancing With the Stars finalist earlier this week! The two-night Finale airs on ABC Monday November 20 at 8/7c and Tuesday November 21 at I believe 9/8c. (And I believe Lindsey also has a new music video coming out on her YouTube channel very soon!) You can check out one of her dances from this past episode below, and I’ll see you again soon with more AGT updates. 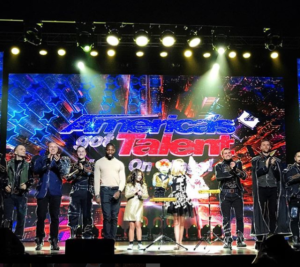 Who Should Win AGT Season 12? Who WILL? Weigh In! I’ve been trying to get something like this off the ground all season, but it just never worked out…until now, that is! This is something I’ll probably try to continue doing next year, but in a more focused (and much shorter) format after each episode (I do this with Dancing With the Stars and it’s really fun!) Thanks to Sophie for coming on and sharing her adventures at the AGT live shows over the years! Listen to us ramble all about the show, our favorite acts, and Tape Face self-insert fanfiction. LAST SEMI-FINAL OF THE SEASON! I have to admit, even with how messy Season 12 has been, I’m actually pretty sad it’s almost over…but in the meantime, I’m going to try to get up a post on here every day from now until the Finale! I’m also considering covering Britain’s Got Talent on here next spring (I think?) as well as actually doing a write-up about the Christmas special if they do one this year. In addition to this, I want to include more stuff on here about AGT alumni and what they’re up to-there’s been a few I’ve heard a lot from since their time on the show-but I’m not sure how much interest there’d be for all that. None of this would be as frequent as what I’m doing now (until BGT starts). But for now, I know you’re all here for the Power Rankings. This week is particularly hard to predict because there wasn’t one act that seemed to blow everyone out of the water, and very few really dropped the ball. Also, the show started an hour later than usual, and the late end time-especially we’re now into the school year and a lot of kids and parents are on stricter weeknight schedules-could have affected voting patterns. Also, based on last night alone there really doesn’t seem to be a frontrunner in this group, though I definitely think some will benefit from being one of the “stars” of their Quarter-Final. 1. Mandy Harvey: I think this is the first time all season I’ve put someone who performed in the middle of the show at the top of the Power Rankings, but she headlined her Quarter-Final and her spot in the running order this week was probably the best one she could have gotten; performing at the change of the hour meant she was likely the last act seen by people who tuned out at the usual time, but late enough in the show to still be well-remembered by the end for those sticking around the whole night. Her package might actually have been more of a selling point than the song itself, but it was still a very solid performance (loved the inclusion of sign language!) and just enough of a departure from her previous songs with the ukulele to be different without losing the essence that made people drawn to her in the first place. 2. Angelica Hale: Color me shocked that the judges actually criticized her a bit last night-I thought she was pretty much untouchable in that regard by this point-but this was still a nice way to end off the night. It’s going to be interesting to see what happens with Angelica since Celine also performed last night, and as I’ve mentioned are often compared very closely by fans of the show. I think Angelica still has a bit of an edge with her story and POSSIBLY the pimp spot (but again, we don’t know if that provided as much of a boost as it usually does). Either way, I don’t see her going home tonight because she’s definitely in the top 6 and there’s no way she’d lose a Dunkin’ Save unless Mandy was one of her opponents. 3. Light Balance: I suppose these guys are my best guess for the third automatic spot tonight, since pretty much everyone seems to like them (even if it’s debatable whether or not performing second last will actually help this week). Their main competition is Diavolo, and I doubt we’re getting both in the finals since it seems like voters-especially this late in the game-tend to be more emotionally attached to (and inclined to vote for) individual performers or pairs than larger groups. However, I still think one of the dance groups will make the Finale and I think LB has the clear edge because their appeal is more “universal” (more on that below). 4. In the Stairwell: This might be surprising since I just said groups tend to be disadvantaged on this show at this point (and I’ll probably do a write-up about that sometime between now and next week) but I think the main reason for this is because it’s much more difficult for the audience to connect to them in comparison to a solo performer. However, the constant reminders of ITS’s military service probably remedies this issue. While I could have done without the name-dropping of a national tragedy (I want them out tonight for that alone) the Armed Forces mean a lot to many people, especially in America. Even though I thought the performance itself was probably one of the weaker ones of the night, ITS filled a niche of the episode as the only singing group, and that + military background will probably be enough to get them into Dunkin’ Save territory. Keep in mind the order of this list is based on who I think got the most Tuesday night votes, so while I’m expecting to see them on the bubble, they’ll probably be the act to lose out since I get the feeling the majority of their voting base is not part of the online crowd. 5. Celine Tam: I was originally going to have Celine as an immediate elimination, but she seemed to take less heat from being on the same show as Angelica than I thought, and now I’m thinking there might even be room for both girls in next week’s Finale. Like Angelica, she got a pretty positive response from the judges, with only a few minor critiques. I have a feeling as long as Celine manages to stay above the abyss (AKA the bottom 5) she’ll probably get through to the Finals. 7. Kechi: After her whole segment I penciled her in for top 3, but then a funny thing happened. When I poked around the interwebs to get a feel of who people were liking (and not liking)…I barely saw Kechi’s name at all. And this is about someone who I believe has gotten the pimp spot for all three of her previous performances, and a decent one near the end last night. She might still wind up in the Dunkin’ Save or even top 3, but it seems she could possibly be a victim of the “Singer Massacre of the Semi-Finals” when a bunch of the singers who were madly hyped in the Quarters suddenly disappear the next round. 10. Christian Guardino: I actually really love listening to Christian sing, and hope he has a long and successful career after this, but while he did have a package custom-designed to tug at the heartstrings, his song was pretty forgettable (remember what I said last week about having to have those “money notes” in order for the audience to remember you?). His running order also wasn’t that great, and I’ve hardly seen any buzz about him since the show, so I’d be very surprised to even see him in the Dunkin’ Save tonight.